Roberta Ann Barker, 82 of Ashland passed away, Sunday evening, September 9, 2018 in her home. She was born on May 7, 1936 in Ashland to the late Harold and Bessie (nee Sweeney) Strine. 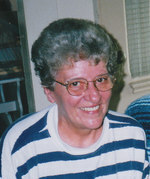 Roberta was a 1955 graduate of Ashland High School. She was employed as a custodian at Ashland City Schools after more than 20 years having retired in 2001. She enjoyed the many feline companions she has had throughout her life. In her earlier years, Roberta along with her family loved to sing. She also worked as an interior decorator in Ashland for many years. Roberta is survived by one daughter, Cathy Seward of Bellevue; two sons, John (Sue) Barker of Ashland, and Robert (Karen) Barker of Glenmont; five grandchildren, John (Susan) Barker III of Simpsonville, Kentucky, James (Jessica) Barker of Lexington, Brian Barker of Mansfield, Nicolas (Melissa) Barker of Parma, and Jerud (Billie Jean) Barker of Brooklyn; 13 great grandchildren; one sister, Elizabeth Fruth of Ashland; and two brothers, Robert (Sandy) Strine of Reynoldsburg and Joe Strine of Jackson Hole, Wyoming. In addition to her parents, Roberta is preceded in death by one son, Dwight Barker on June 23, 1989. A Celebration of Life will be held, Sunday, September 30, 2018 in the Legacy Room of the Denbow-Gasche Funeral Home from 1:00 p.m. to 3:00 p.m. Interment will be private in the Ashland Cemetery. To send flowers to the family of Roberta Ann Barker, please visit our Heartfelt Sympathies Store.